Did you know that there is a way to easily customize your own short URL? All you have to do is create a free account with Bitly to get started. Bitly, is a URL shortening and bookmarking service that allows its users to customize their own short URLs, which makes it pretty awesome. I'm sure you have seen these types of short URLs before, and you have probably even generated them to share content on the web with others. But you have probably seen or generated a short URL that has a combination of meaningless alphanumeric characters in it. This makes it difficult for others to accurately view, copy, and type the short URL. However, with Bitly, users can customize their short URL to make this sharing process much easier and more efficient. Moreover, Bitly even has some bonus features that will actually save your customized links in your account AND it will provide you with statistics regarding the time and location of when and where your links were viewed. I like to create and share customized short URLs on Bitly when I give presentations to colleagues, or when I am teaching lessons to students. I typically create custom short URLs that are meaningful or related to the content that I am presenting or teaching. For example, if I wanted to share a Google Form that I created for my staff to collect information about professional development, I might create an ending to my short URL such as "/staffpd". To get started, you will need to first create a free account on Bitly, or sign in with Bitly using either your Facebook or your Twitter account. Then simply copy and paste the website URL that you would like to shorten. 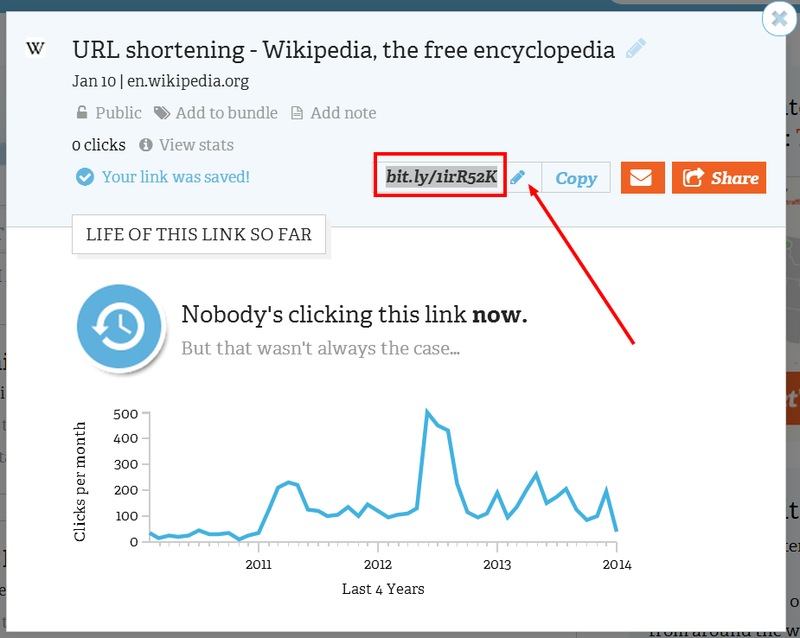 Then, when you click "Shorten" it will create a default, alphanumeric short URL for you. However, there is a small "pencil icon" next to it that will allow you to "edit" this short URL to a custom URL of your choice (one that has not already been created by you or someone else). 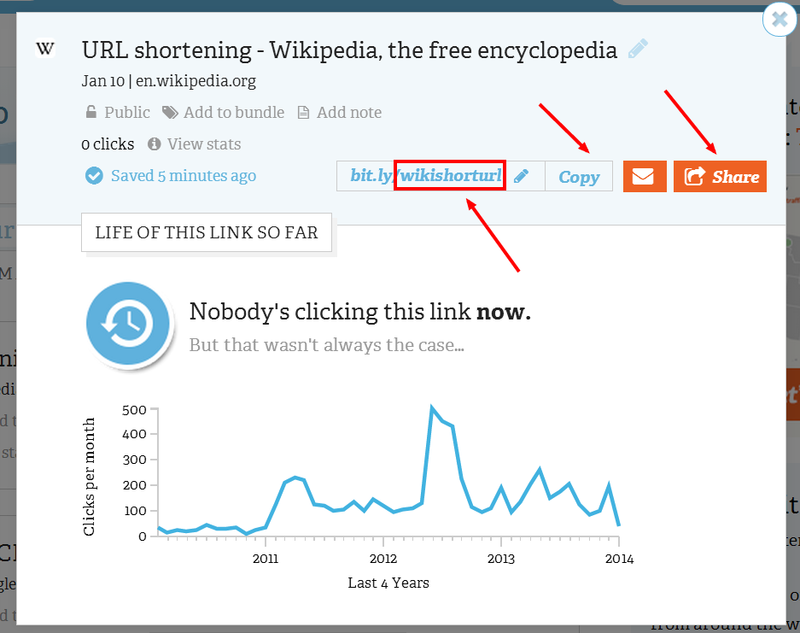 Next, click the "pencil icon" to "edit" your short URL in order to customize your link. When you are satisfied with your link, click or select "Enter" and Bitly will give you feedback as to whether or not your customized link is available. If its not available, then try a different combination of characters until you create a customized link that is both unique and available. Finally, when you have successfully created your unique, short URL, feel free to copy and paste it wherever you want, or choose to select the "Share" button to share your customized Bitly link. Then revisit your account at a later date to checkout the "viewing" statistics of your link or add it to a "Bundle" to start a customized collection of the Bitly short URLs that you have created. The next time you need to share a link, consider using Bitly to create a customized short URL to enhance the sharing experience. How might you use Bitly's bonus features with your students and colleagues?